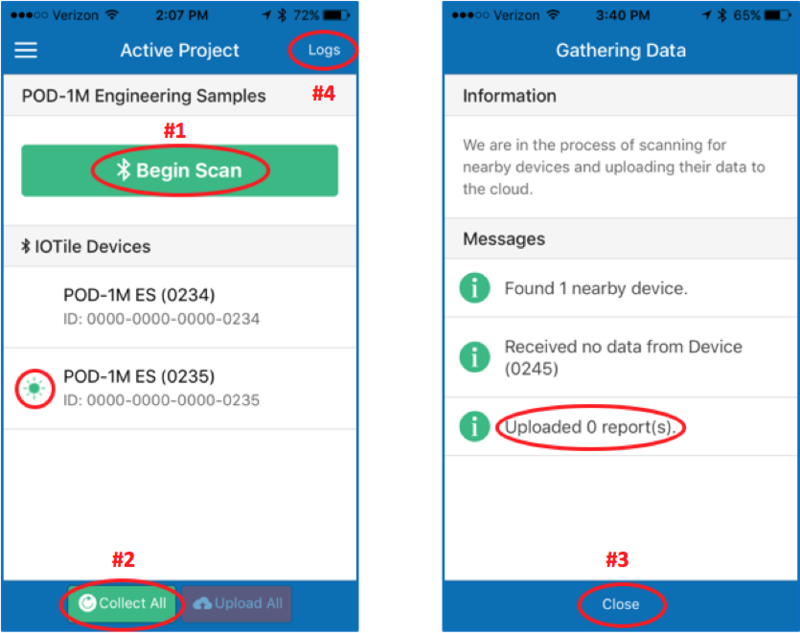 These instructions give the user a quick overview of how to use Arch System’s IOTile Companion Mobile App to connect to sensors and upload data. Have a company administrator send you an invitation to your company account or email help@arch-iot.com to get access your company account. Click on the link in the introductory email and create an account. If a green star appears to the left of either device listed, it’s within Bluetooth range. If it’s not, move close to the sensor (20 feet). Click “Collect All” at the bottom of the screen. Note: if the message states that you collected more than 1,000 reports, you may need to upload more than once. Click “Close” at the bottom of the screen. 1Click on “Logs” in the upper right corner of the screen. 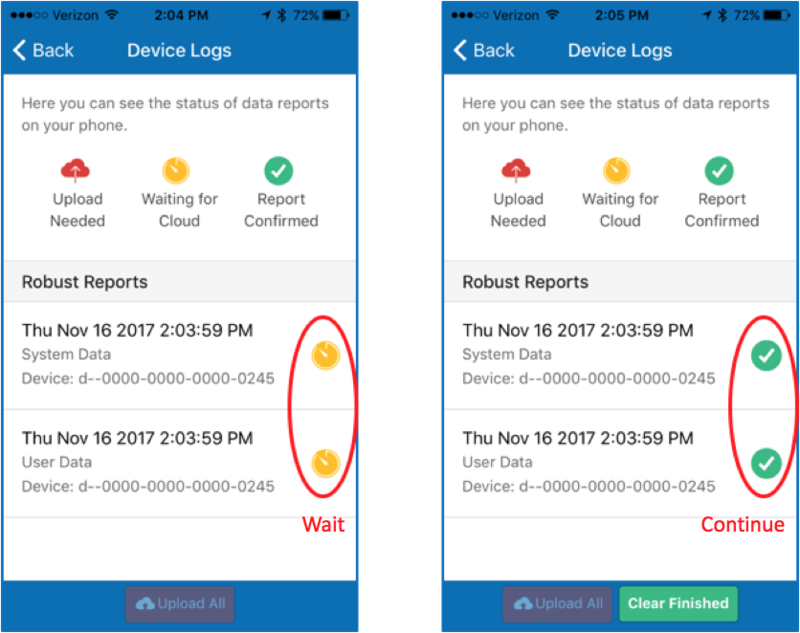 Note: our robust reports ensure no data is lost, so an acknowledgement back from the cloud is needed before the check marks turn green. Wait for green check marks to appear or no reports are shown before going to step 12. Click “Collect All” at the bottom of the screen after you see the green checks . Note: if the check marks are yellow, you will upload the same data twice.